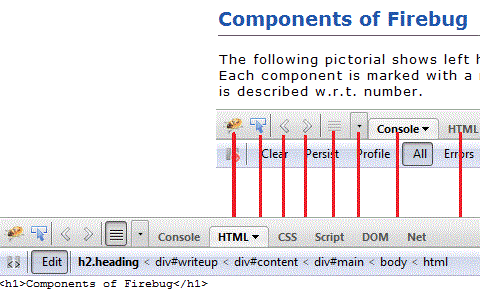 In this tutorial, we are going to discuss how to inspect and edit HTML and CSS with Firebug. Right click on the element which you want to inspect and click on the Inspect Element. Click on the Edit in the Firebug window now. 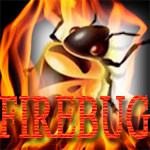 Change the code to <h1>Components of Firebug</h1> . As soon as you change the code, you can see the effect live. You can copy the code and then simply paste it replacing the original code and save to make the effect permanent. Right click on the element which you want to inspect and click on the Inspect Element. An then click as shown (scroll the image to right) in the image to open corresponding CSS code.